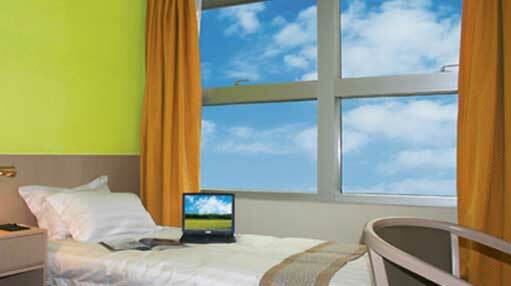 Walden Hotel is situated at the junction of Wanchai and Causeway Bay, Hong Kong. It is conveniently located in the main business district of Wanchai, only 15 minutes walk from hotel to the Hong Kong Convention & Exhibition Centre where all the major international conferences take place. Walk from Causeway Bay MTR station Exit C, takes only 8 minutes and 5 minutes to Causeway Bay where premier shopping, dining and entertainment area in Hong Kong. Easily accessible to guests by various forms of transportation. Walden Hotel is a 3 stars Business and Leisure hotel which offers 54 guest rooms. Our well equipped bedrooms include a desk area, tea and coffee making facilities, LCD Television with satellite TV channels, full amenities, mini bar and free In-room Internet service.